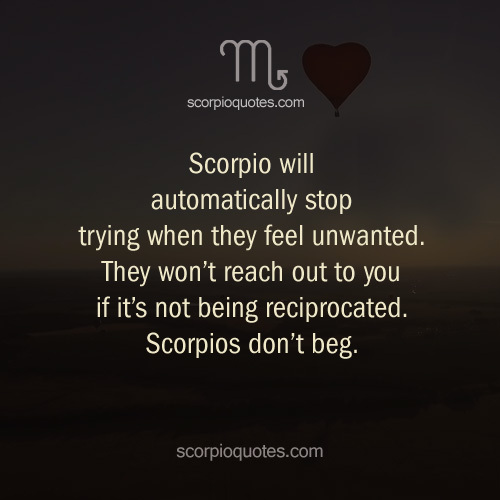 Scorpio will automatically stop trying if they feel unwanted. They won't reach out to you if it's not being reciprocated. Scorpios don't beg.